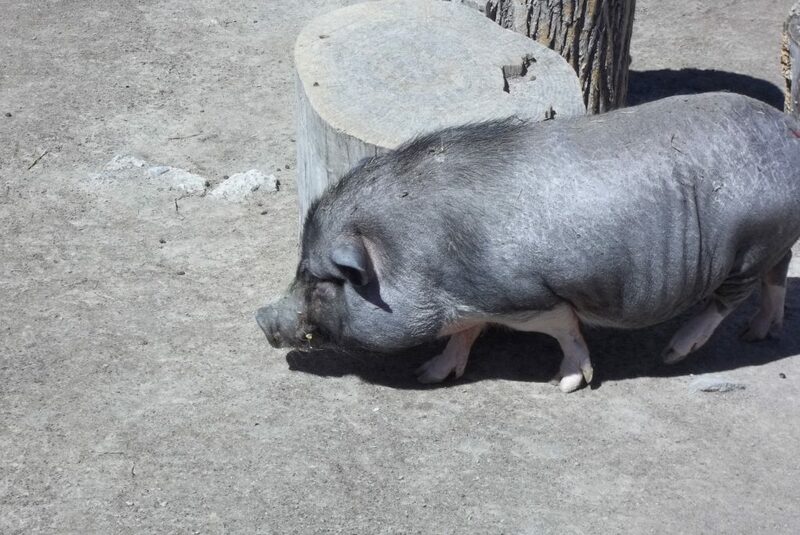 Wilbur, our pot-bellied pig, is geriatric so he has been retired from our contact yard, but can now be seen next to the Australian Outback. 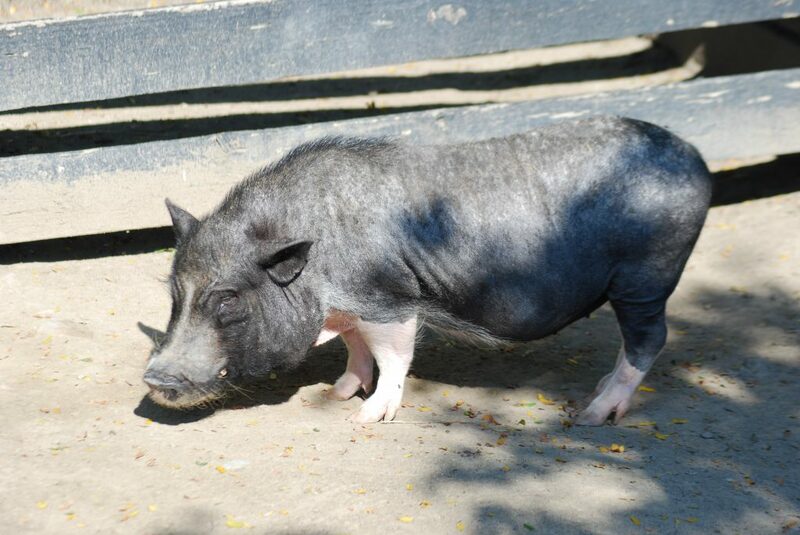 Pot-bellied pigs have a great sense of smell which helps them find food, but also have been used with police forces for detecting substances. They have scarce hair and sensitive skin, which is why they wallow in mud. Pigs are one of the most intelligent species in the world.